I’m going to meet an old buddy of mine from the army. I can’t even count how many times I've heard that sentence in Israel. 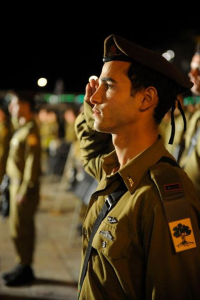 Whether it’s coming from Americans, Israelis, Russians, Argentinians, or any other nationality that has come to serve in the Israel Defense Force, it continues to come up for years after the soldier’s service has ended. There is something very unique and special about the connection one forms with the other soldiers in one’s unit. Having gone through basic training, courses, and more training, all of which includes not eating enough, not sleeping enough, and not showering enough, the bonds formed are so strong, there is little that can be done to break them. Sleeping outside in sleeping bags, running in the hot sun, all the while so far from your family and friends; it is basic human nature to connect with whoever is nearest, and going through the same experiences. Having seen many friends through this process, I can see that it’s everlasting. 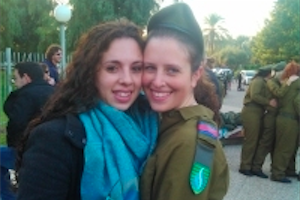 In Israel’s last Operation in Gaza, one of my best friends had moved back to America two months before. He had just secured a job and an apartment, but when he heard all of his friends had been called up for reserve duty, he dropped everything and was on the next flight to Tel Aviv. 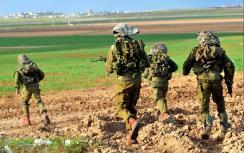 From a very young age, Israelis understand that they will grow up to become soldiers. Already in gan they are enamored with the idea of the chayal-חייל, who they celebrate time and time again throughout the year. 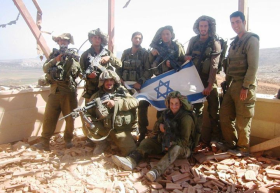 Not only do these brave young warriors protect our country, our flag, our citizens, but they are a symbol of what it means to be Israeli - that we all share the commitment to guard our one and only Jewish State. Children are filled with pride every time they see a soldier, and they know they share a mutual commitment to this tiny country we all love so much. 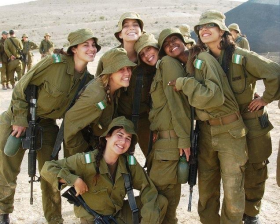 While soldiers all over the world feel a sense of camaraderie with their peers, I think there is something special in the way Israeli soldiers fight for their country. 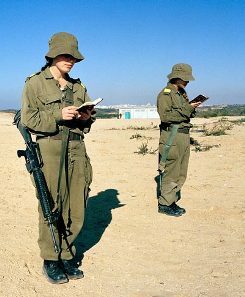 They know that because every faction of Israeli society - Jewish and non, religious and secular, Israeli and even Lone Soldiers - shares in the obligation to serve, and because that obligation is tested time and time again, every soldier counts and is crucial towards protecting our homeland. 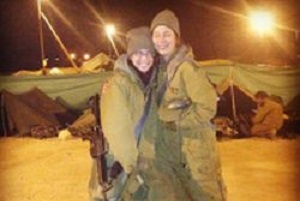 Since before the founding of the Jewish State, young men and women in Israel were drawn to an involvement in Jewish defense. Living in the Diaspora, in spite of the numerous attacks against us, it was forbidden for any Jewish community to form organizations that would provide for the security of its residents. As early as 1870, after the First Aliyah, the need for self-protection was evident. 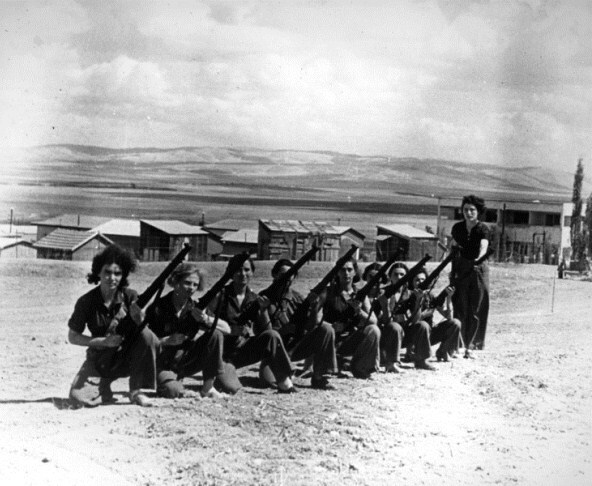 Attacks from local thieves, and organized gangs from throughout the Arab population were rampant and every town, neighborhood, moshava (village), farm, moshav and kvutza (cooperative and collective settlements, respectively), faced the necessity of protecting itself. On horseback or on foot, security details were set up through a rotation of volunteers from within each community. Every member of the community shared the responsibility, and the pride, of protecting the Jewish life and settlements being established in the homeland where they all dreamed of being able to live free from persecution and exile. It is believed that every citizen of Israel shares in the responsibility to protect and defend our citizens and our borders. Inevitably there are difficulties we face in light of the social diversity of our population, whose conflicts are often the focus of mainstream news representations. Here in Israel, however, one can see every type of individual dressed in uniform, walking the streets, lending a feeling of both safety and pride. These soldiers embody a personal strength that is translated into a communal strength. When every person is united the devotion doesn’t end at the end of one’s mandatory service, and many soldiers continue to serve in reserve duty until the age of 40 as not only do they get to see their old buddies but they have a chance to renew their love and commitment to their country. 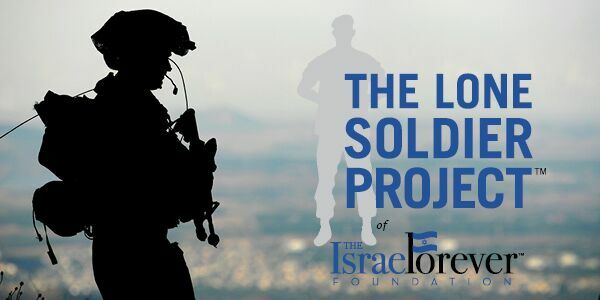 Let their selfless service and connection to Israel inspire others by supporting The Lone Soldier Project today!